We all want a great looking lawn. We also know that a healthy, green lawn takes some work. Luckily, we live in a time when the hard labor of heavy-duty lawn work has been eased somewhat by the creation of lawn sprinkler systems and timers. Those timers, properly connected to a lawn sprinkler system, can save you money and time. Shade is cool, except when you want to cultivate green grass. Then that lack of sunlight becomes an issue. 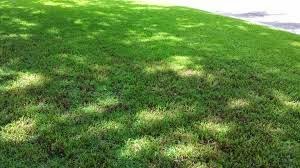 There are shade-tolerant versions of turfgrass. Check out blends like bishop’s hat or sweet woodruff. 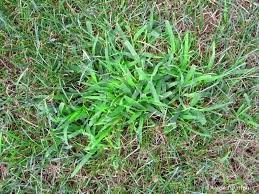 Crabgrass is no friend of the healthy lawn. It’s a problematic and pesky weed, but it’s not invincible. If you want to be rid of crabgrass but are not crazy about herbal pesticide, why not give something corn gluten meal a chance? 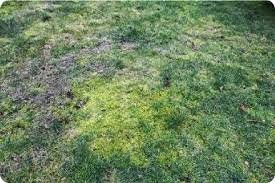 Using it early in the spring can help contain the crabgrass. Then, it’s time for fertilizer. Couple that with a healthy supply of water to your lawn. When you mow, mow high. If you do decide to use a pesticide, wear gloves, take other safety precautions and carefully read the instructions. These are NOT the kind of mushrooms you eat. Your lawn won’t find them very appetizing either. 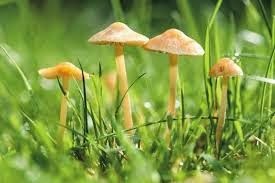 To permanently rid your lawn of the mushrooms, try to get rid of any decaying organic matter. Grind down stumps, rake up grass clippings and replace old mulch. No, not the kind on your head. 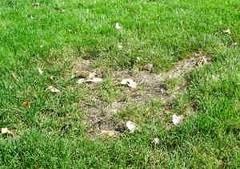 These kind of bald spots can be unsightly on your lawn. Find the bald patch and dig up the damaged area, plus six inches of the surrounding healthy law. Dig about two inches deep. Leave the soil and add a small amount of soil amendment. Then add some starter fertilizer.